Failing to fact check is the meme of the left’s media arm. Another article with a scary story here at The Daily Mail has the writer drinking the kool-ade. Apparently climate change has decimated the krill population! 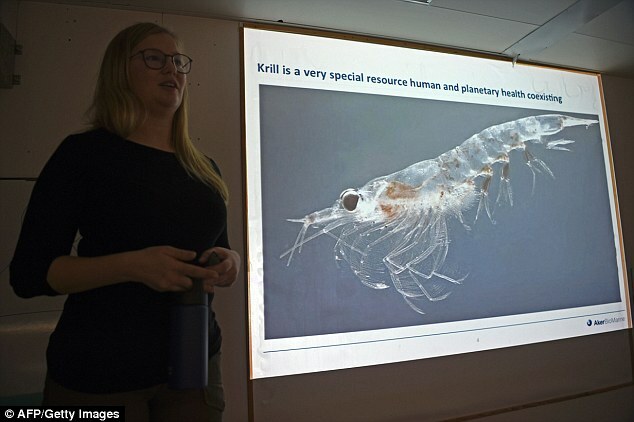 What they failed to do was note that Australian Antarctic researchers found huge quantities of krill, and much further north than their usual range. […] All parties were enjoying the krill fishing; except perhaps the krill, some of whom foolishly took refuge in our net. Whereupon they were delivered into the clutches of another group of voracious seagoing mammals more commonly known as marine scientists. Just like the whales, the scientists were pretty excited to be catching large numbers of Euphausia superba this far north where in theory they should not be. Construction work on a new theory will commence as soon as the rubble from the old theory has been cleared away. Antarctica affected by global warming climate change? Codswallop, or whatever term of fakery applies here, as Antarctica has been on the receiving end of a growing ice sheet for 30 years or so! The penguins, in other words, are doing fine! This entry was posted in Climate, comedy, Environment, media, weather and tagged Antarctic ice, climate, daily mail, environment, media, nature, politics, weather. Bookmark the permalink.